It was so pretty I had to share. 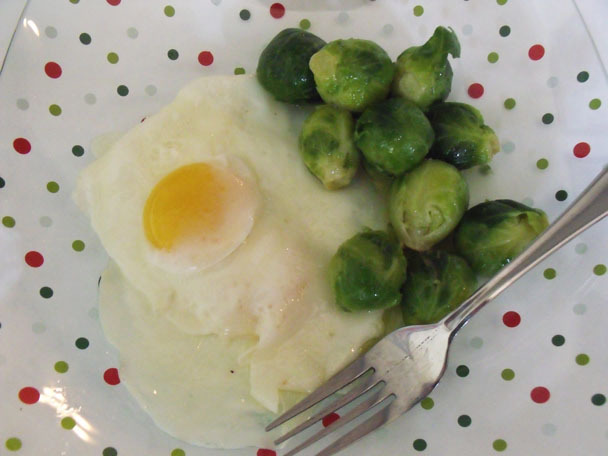 Two eggs, brussel sprouts in butter. Very simple. Very delicious.